Surfing is probably the single most Hawaiian experience you can have. This is where it started, so while your here get a board and get on the water. Most hotels will rent you a surfboard and teach you how to surf for around $100 but what they wont tell you is that you could also rent a board for a week for about the same price Blue Planet Surf will just rent you the board for a week, for about the same price you paid for your 2 hour surf lesson. 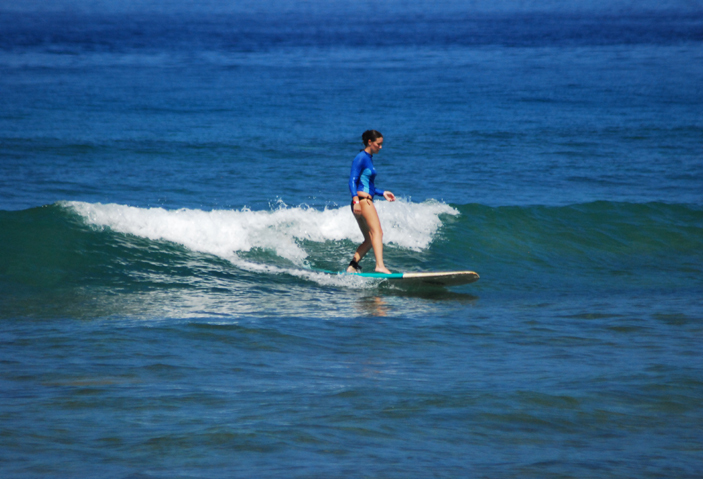 Best prices on the island this includes stand up paddle boards (SUP). If your hotel doesn’t offer lessons or the condo you rented doesn’t have a board to use Hawaii Surfboard Rentals will bring them to you and pick them up when you are done.Keep it for a day or a week. Price wise he’s right in the middle but he’s the only one that will bring the gear to you. Now you don’t have to spend the day driving around looking for a shop and trying to find it again to return it; you can just kick back at the beach and surf, boogie board or stand up paddle. Don’t for get to get a picture of you surfing.